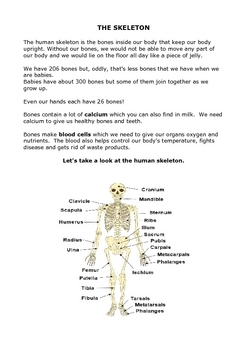 Learn all about the human skeleton in this science lesson. How many bones do we have? Why is calcium important for our bones? Why are bones important for our blood? Find the answers to these and many more questions in this lesson. Includes a worksheet and label the skeleton activity.